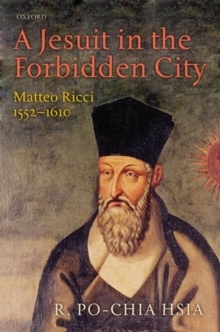 A 16th century Italian Jesuit, Matteo Ricci was the founder of the Catholic Mission in China and one of the most famous missionaries of all time. A pioneer in bringing Christianity to China, Ricci spent twenty eight years in the country, in which time he crossed the cultural divides between China and the West by immersing himself in the language and culture of his hosts. Even 400 years later, he is still one of the best known westerners in China, celebrated forintroducing western scientific and religious ideas to China and for explaining Chinese culture to Europe. 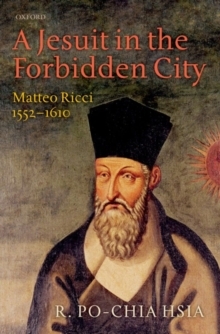 The first critical biography of Ricci to use all relevant sources, both Chinese and Western, A Jesuit in the Forbidden City tells the story of a remarkable life that bridged Counter-Reformation Catholic Europe and China under the Ming dynasty. 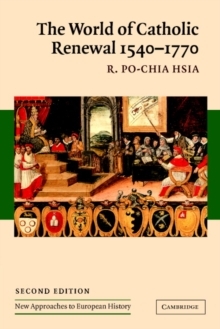 Hsia follows the life of Ricci from his childhood in Macerata, through his education in Rome, to his sojourn in Portuguese India, before the start of his long journey of self-discovery and cultural encounter in the Ming realm. Along the way, weglimpse the workings of the Portuguese maritime empire in Asia, the mission of the Society of Jesus, and life in the European enclave of Macau on the Chinese coast, as well as invaluable sketches of Ricci's fellow Jesuits and portraits of the Chinese mandarins who formed networks indispensible for Ricci'ssuccess. 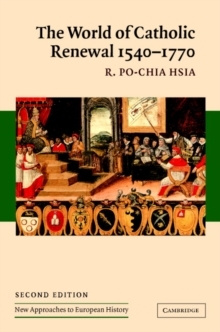 Examining a range of new sources, Hsia offers important new insights into Ricci's long period of trial and frustration in Guangdong province, where he first appeared in the persona of a foreign Buddhist monk, before the crucial move to Nanchang in 1595 that led to his sustained intellectual conversation with a leading Confucian scholar and subsequent synthesis of Christianity and Confucianism in propagating the Gospels in China. With his expertise in cartography, mathematics and astronomy,Ricci quickly won recognition, especially after he had settled in Nanjing in 1598, the southern capital of the Ming dynasty. As his reputation and friendships grew, Ricci launched into a sharp polemic against Buddhism, while his career found its crowning achievement in the imperial capital of Beijing,leaving behind a life, work, and legacy that is still very much alive today.